WASHINGTON — US Secretary of State Mike Pompeo declared that the incident with the downed Russian Il-20 plane, underscores the need to prevent the supply of Iranian weapons in Syria. “Yesterday’s accident reminds us of the need to find long-term political and peaceful solutions to many conflicts in the region and to prevent the danger of misconceptions in the field of operations in Syria”, Pompeo said in his statement. In connection with the statement of Pompeo arise two questions. According to the statement, the United States regrets the death of the crew of the Russian aircraft, which was shot down by the Syrian anti-aircraft system. Russia blamed Israel which expressed condolences for those killed but in turn blamed also Iran (and Hezbollah guerrillas). However, it is not clear why Iran is blamed for this specific incident. 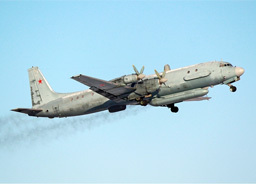 For Russian, the downing of an Ilyushin-20 reconnaissance plane in Syria has been running at the top of every newscast. The news are not about a tragic case of friendly fire, but about “sneaky Israeli fighter pilots who sought cover from Syrian air defences behind the Russian plane”. Igor Konashenkov, the Defence Ministry’s spokesman, said Russia viewed Israel’s actions as hostile and reserved the right to take what he called appropriate actions in response.